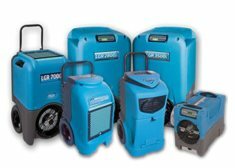 We offer a variety of temporary heat and portable air conditioning rental options, some with wheels for when they need to be moved around OnSite. Whether your application is commercial or industrial we have you covered. Small, medium, and large commercial and industrial units are available for rent based on your project's specific needs and requirements. Electric, propane, natural gas, diesel/fuel oil heaters available in small, medium, and large units based on your project's specific requirements. 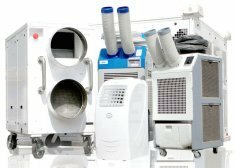 Standard air movers and large industrial fans as well as evaporative cooling to lower temperatures based on your project's specific requirements. Small, medium, and large units for rent based on your project's specific requirements. Our dehumidifier rental equipment is great at removing moisture. 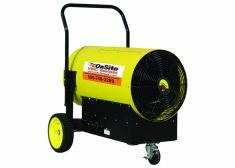 OnSite HVAC Rentals is a Woman-Owned small business providing emergency and planned portable air conditioning and temporary heating rental equipment. 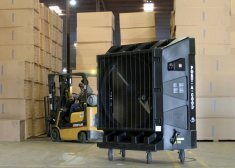 We also offer dehumidifiers, outdoor cooling rental equipment, and traffic barriers. We service the Northeast Corridor, from New York to Washington D.C. This includes locations along routes from Washington D.C., Baltimore, Newark, Wilmington, Philadelphia, Trenton, Newark, New York City and it’s five boroughs. We also cover South Jersey, Central Jersey, the Jersey Shore, and North Jersey. Often times we are asked to provide rental equipment in North and Central Pennsylvania too. We are happy to oblige no matter where your need is. Our business is to solve your problems. Allow us to address your pain points and provide you with a simple, cost effective solution to your temporary climate control & traffic safety control needs. We deliver equipment to your job-site promptly when scheduled and with a professional attitude, every time. *We will not sell or share your information with anyone else.